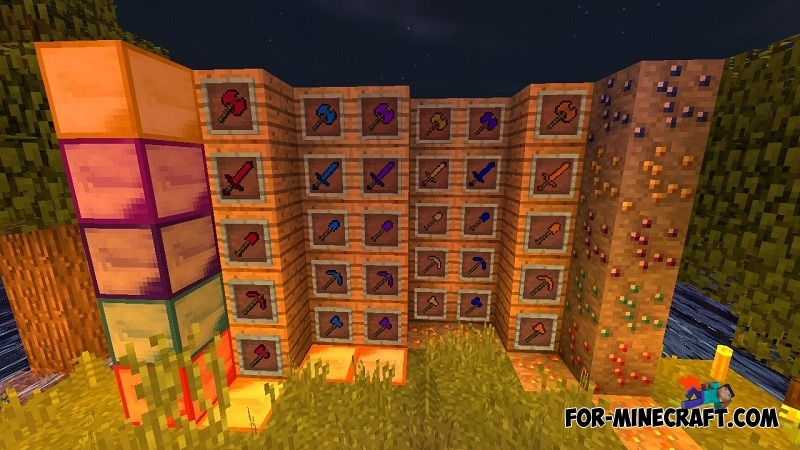 After playing for more than a week, you can easily count all the types of ore that exist in Minecraft. What do you say if the Marines's mod expands the number of ores and adds new recipes that can turn into new tools and weapons. 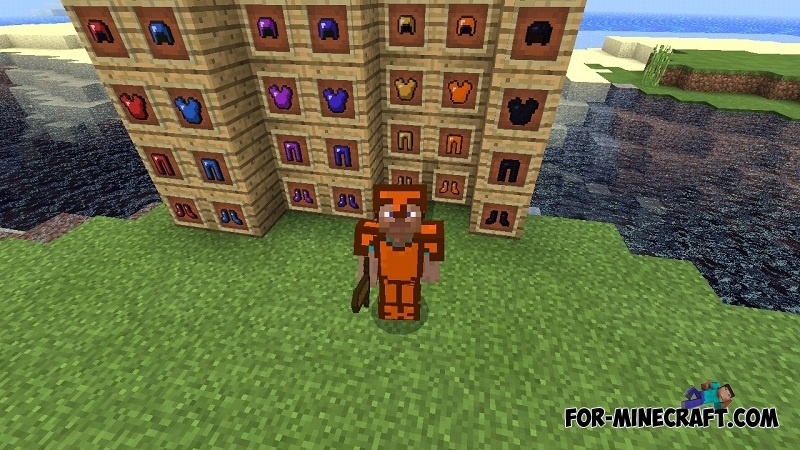 If you consider this mod in more detail, you will see new ores based on the original ones that do not at all affect the basic principles of the game. You can still survive using new tools. 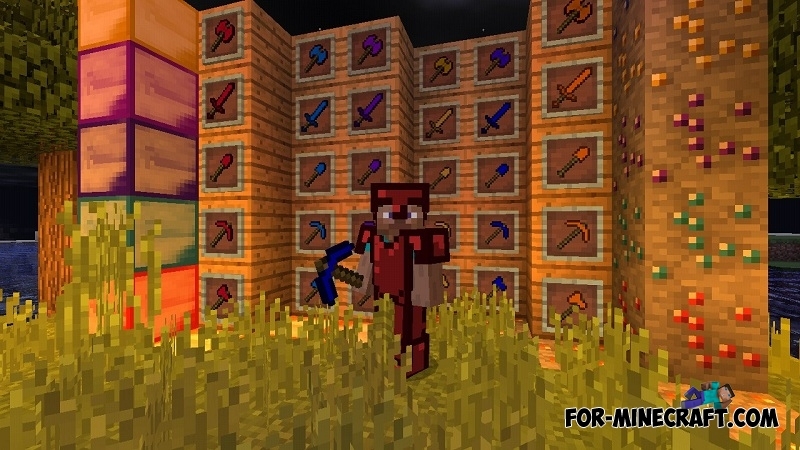 They do not have super characteristics, but in some situations are a better way to mine ore. Also, new weapons such as battle axes can be used in conjunction with a sword. How to install the Marines's mod?